American Apparel founder Dov Charney's new label Los Angeles Apparel is based in a 120-year-old building in South Los Angeles. 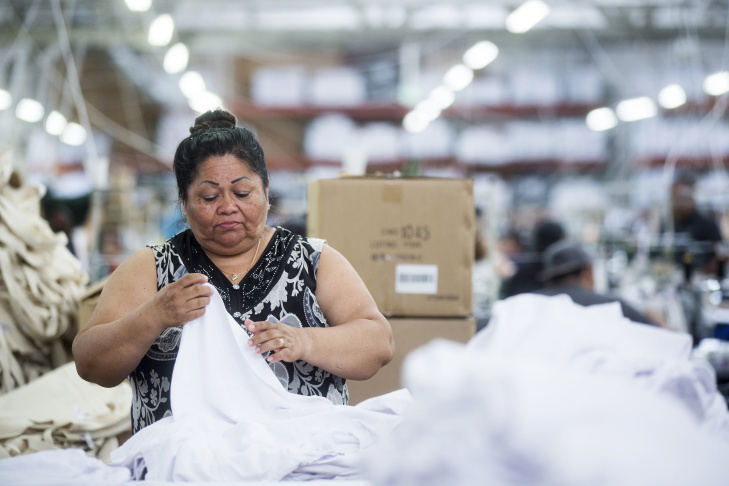 Sonia Valle checks crop tops at Los Angeles Apparel's manufacturing plant. Byron Matthew sews cuffs onto sweatshirt sleeves at Los Angeles Apparel. Melida Villanueva works inside the manufacturing facility for Los Angeles Apparel, the new label started by American Apparel founder Dov Charney, in South Los Angeles on Thursday, June 8, 2017. Fabric samples are on display inside the design area inside the manufacturing facility for Los Angeles Apparel, the new label started by American Apparel founder Dov Charney, in South Los Angeles on Thursday, June 8, 2017. It's very rare for the designers and manufacturers to be housed in the same building. Sam Grossman is head of operations at Los Angeles Apparel. 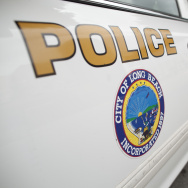 Supervisor Gabriela Moreno is on a Los Angeles Apparel clothing label. 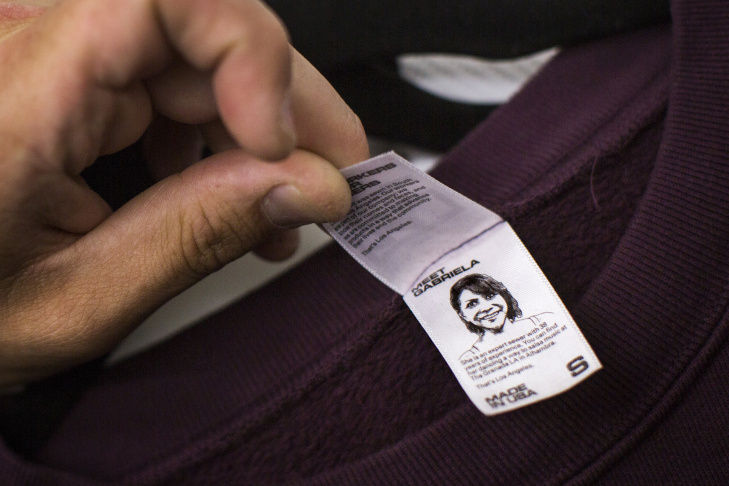 Dov Charney's new label uses illustrated headshots of employees on their clothing labels. 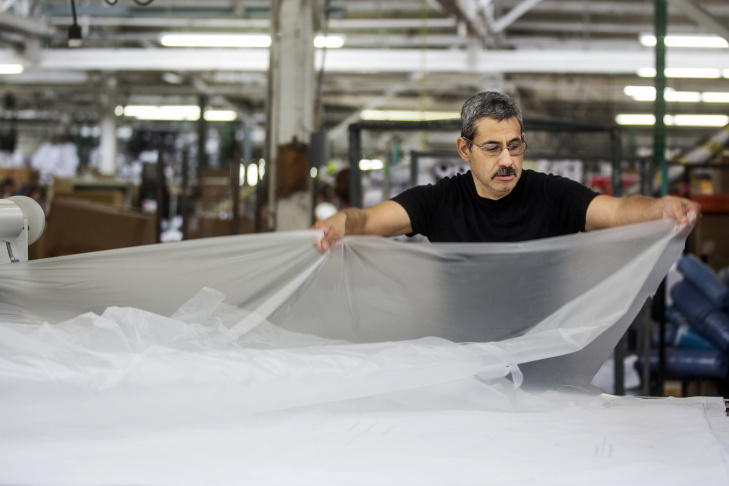 Jose Camaco prepares layers of fabric for cutting at Dov Charney's Los Angeles Apparel. Los Angeles Apparel is the new label that's recently been started by American Apparel founder Dov Charney. 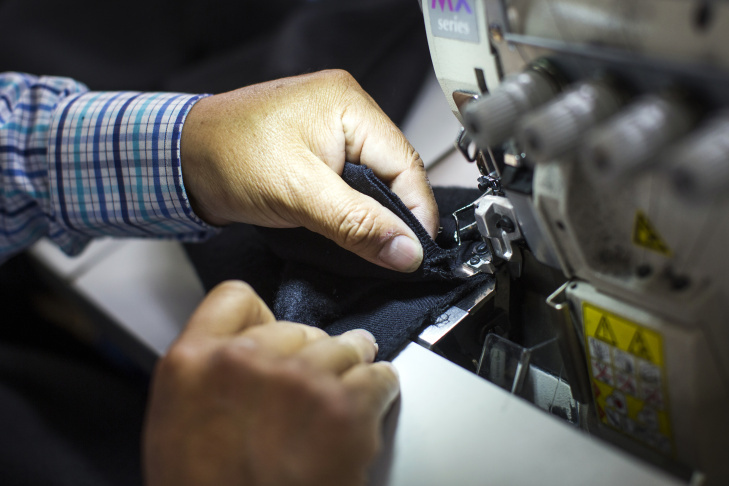 Byron Matthew sews cuffs onto sweatshirt sleeves at the Los Angeles Apparel plant. Dov Charney says on the dark days, he sought solace from his dead grandfather. "I [sent] him a telepathic email, and I tell him, 'Look what happened to me, zeyde!'" Charney shouts, animated as only he can be. "What happened" has been well documented. Charney, the controversial and charismatic founder of American Apparel, was once considered L.A.'s golden child with a hot clothing company that defied the odds. But it all fell apart in 2014 when the company's board of directors ousted him as CEO, and later declared bankruptcy. "You know what he told me to do?" says Charney. 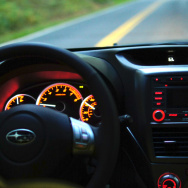 "He said [switching to an eastern European accent], 'No complaining, no explaining. Start another company!'" Charney, 48, tells the tale from his South L.A. warehouse, the home base of his new company, Los Angeles Apparel. An orchestra of sewing machines roars behind him. In the wings, bolts of fabric are stacked to the ceiling like hay bales. Forklifts shuttle boxes back-and-forth. "Many days, this is, like, the most exciting time of my life," says Charney. "There's other days where it's like, 'Ah, what am I doing this for?'" he jokingly adds. "But you know, I'm having a great time, it’s gonna be fun." 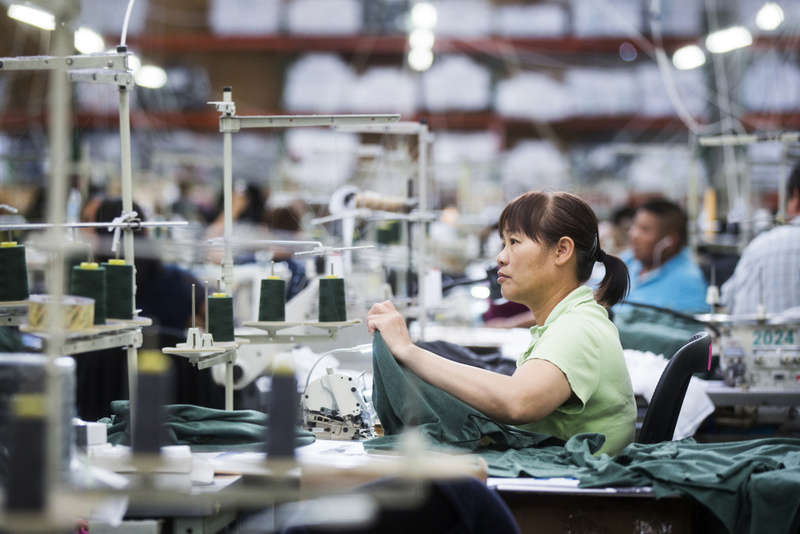 Workers operate dozens of sewing machines at the Los Angeles Apparel plant. The vibe inside Los Angeles Apparel is no-frills sewing factory meets tech startup. Workers eat lunch in a break area scattered with second-hand office furniture and a row of microwaves. Across the warehouse, young hipsters collaborate in a stark white design space. A few friendly dogs roam the warehouse floor. Sunlight streams in from overhead windows. 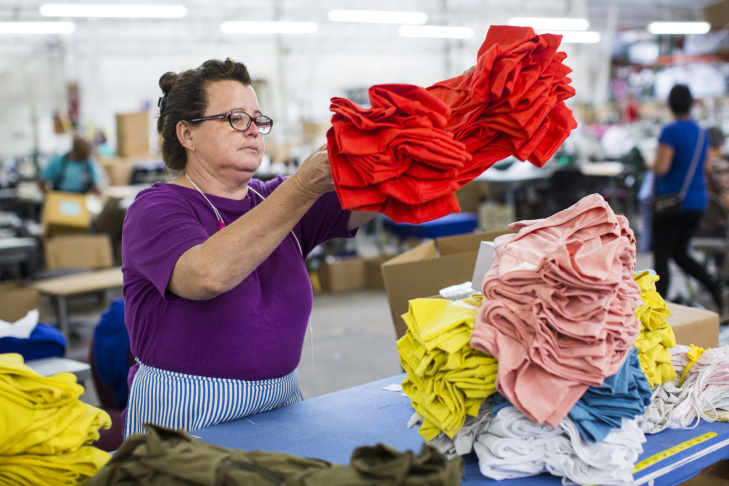 Charney has already hired 300 people – most are former American Apparel factory workers who still take pride in his accomplishments there. At its height, American Apparel's annual sales surpassed $500 million a year. During the recession, the company's perky-pink factory in downtown L.A. was a beacon of hope – proof that local manufacturing could thrive in tough times. 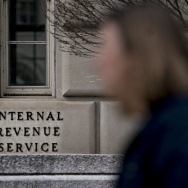 Charney garnered national attention for challenging business norms. The company's marketing pushed sexual boundaries, while reminding consumers that everything was "sweatshop free." He proudly paid his factory workers more than minimum wage. 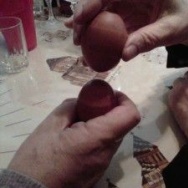 But there were also problems. Allegations of Charney's sexual misconduct mounted. So did the company's debt. The company's stock price fell to less than $1, and Charney raised eyebrows for the deals he made to pay creditors. Then in 2011, five female employees sued him for sexual harassment (one also sued for sexual assault). In 2014, the company's board cited its "investigation into alleged misconduct" when it announced Charney's departure. American Apparel later declared bankruptcy, and the company's remaining 2400 factory workers were laid off in January. 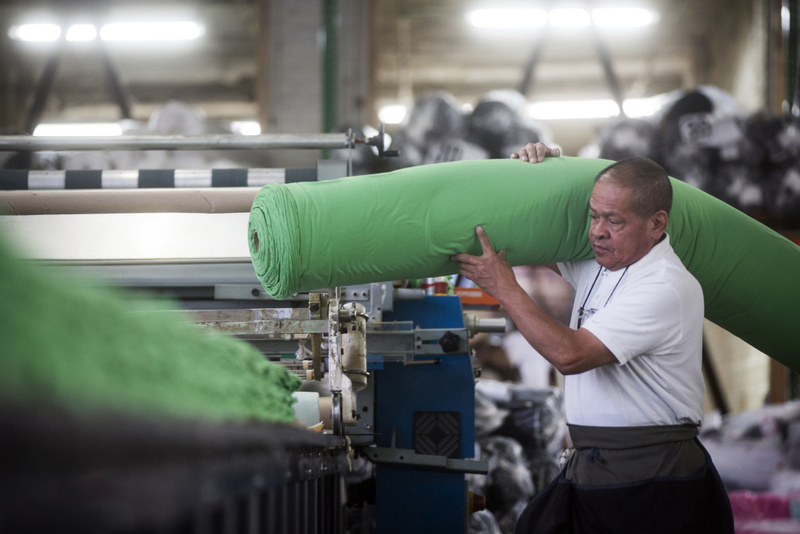 Antonio Napoles prepares fabric for cutting at Los Angeles Apparel's factory. When talk turns to "lessons learned," Charney says the question "is very challenging, because on different days I have different answers, and different hours through the day my position would change on that. And a lot of those lessons are very personal and private." He then adds, "But what I can say is: You get up every day, you step forward, you open your eyes, you grab your coffee, and you get out there and run." "We are like a family"
In that spirit, Charney wanted to give clothing manufacturing another try. It was easy to recruit his former factory workers to join him. In early 2016, a dozen of them began sewing for him part-time. Diego Martinez was one of them. He recalls the day he and a small group of co-workers met with Charney, then talked it over and decided they wanted in. "We are trying to help him, to support him because we believe in him, Martinez says. "We are like a family, you know." 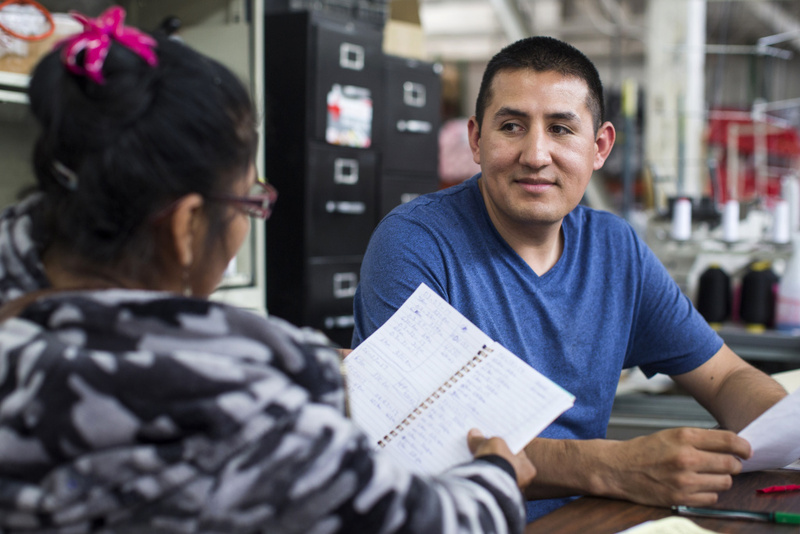 Martinez, who now supervises sewing machine operators at Los Angeles Apparel, gave Charney a $3,000 loan as the company was forming. Many other employees gave $500 or $1,000. Altogether, their loans total more than $100,000, Charney says, explaining he was cash-strapped after a long battle with American Apparel. "All my wealth was lost. All I had was my running shoes. 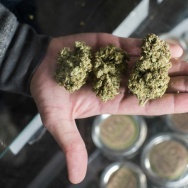 I had nothing, so we needed money to get things going," he said, adding that investors and friends also chipped in. 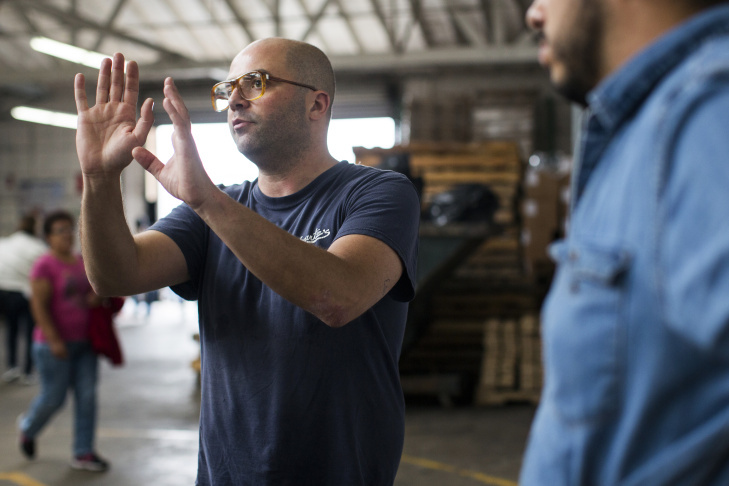 Los Angeles Apparel supervisor Diego Martinez worked for Dov Charney at American Apparel. 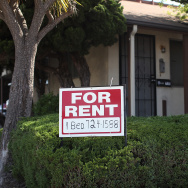 Charney says he pays his worker lenders 7 percent interest twice a year. They can cash out at anytime (some have), and each will eventually have the option to convert their money into shares in the company. "We want to motivate them and make them feel part of the family," he says. "This is an opportunity for them to really help build a company that can be a shining star within the industry ... and in the end, own something in it." Los Angeles Apparel currently pays its workers minimum wage, but Martinez and others expect to make more as the business gets on its feet. Charney has also told them he will soon provide health insurance. When asked about Charney's past sexual harassment allegations, Martinez struggles to find the words in English. Through a translator he says that Charney was always a good boss to him, and he treated the factory workers with respect during their years at American Apparel. Other employees echo those sentiments. "I'm excited to be part of this experience of actually building this company and making it better," Gabriela Moreno says through a translator. When pressed, Moreno - who also supervises sewers - says there were some American Apparel workers who didn't want to follow Charney, though not many - "maybe one out of 100." Los Angeles Apparel supervisor Gabriela Moreno worked at American Apparel for almost nine years. Far more people are hoping the company keeps growing so they, too, can sew clothing there, the workers say. 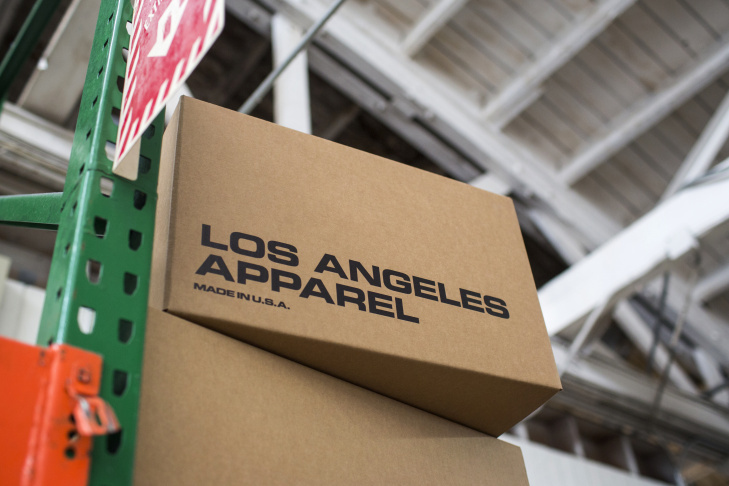 L.A. "is where it's at"
A company spokesman says Los Angeles Apparel is shipping out about $500,000 in wholesale clothing each week, up from $60,000 a week in November. T-shirts cost about $3.75 each, which is about twice what overseas competitors charge, but Charney says some customers will pay more for a quick turnaround and higher quality product. "Certain companies that buy clothing for the music industry or for online retail ... they need it in their fit, they need it their way, on time, now," he says. "So there's actually an economic demand for 'made in Los Angeles' or 'made in U.S.A.'"
Los Angeles continues to be Charney's muse. It's his company's namesake, and he created a photo blog for his snapshots of the city. 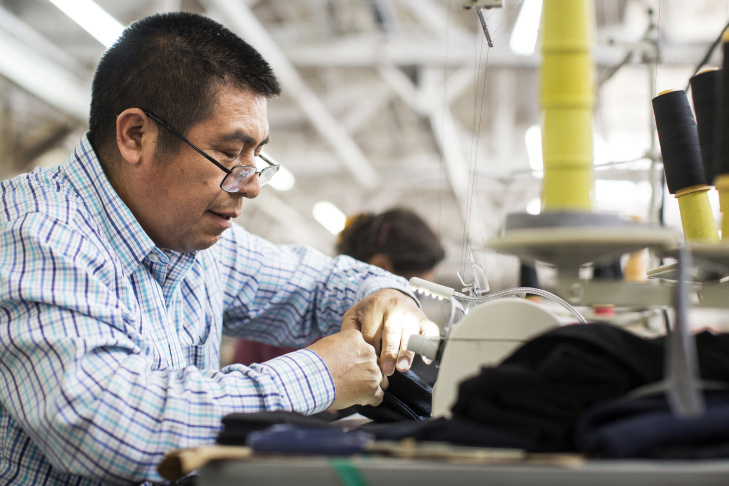 L.A. is also home to a huge clothing manufacturing workforce that's better than anywhere else, he says, rattling off the list: textile vendors, knitters, sewing machine operators and sewing machine mechanics. 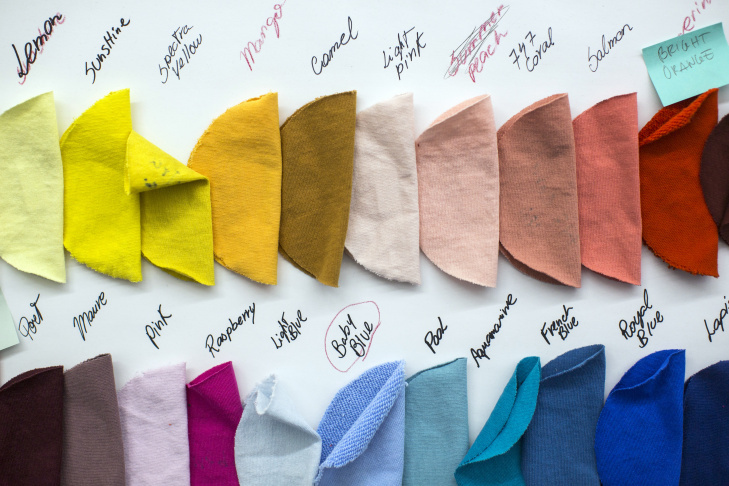 "We have all the tools and the ecosystem to manufacture and sell apparel," he says. "This is where it's at. As an entrepreneurial environment, L.A. is amazing. And we hope to scratch the wood together and create a fire with this whole partnership and sense of community that we have." Canadian company buys American Apparel. What's next?